Ron Mastin was born in 1940 in Beloit, Kansas. He graduated from the University of Kansas with a BS in Business Administration and was commissioned a 2d Lt through the Air Force ROTC detachment there on June 3, 1963, going on active duty on November 15, 1963. Mastin graduated from Undergraduate Pilot Training and was awarded his pilot wings at Reese AFB, Texas, in December 1964, and then attended RF-4C Phantom II upgrade training at Shaw AFB, South Carolina, from January to May 1965. 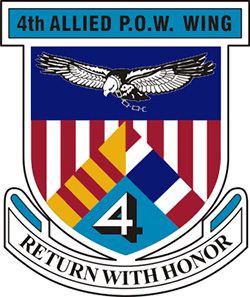 His first assignment was as a Pilot Systems Operator with the 1st Tactical Reconnaissance Squadron at RAF Alconbury, England, from May 1965 to September 1966. 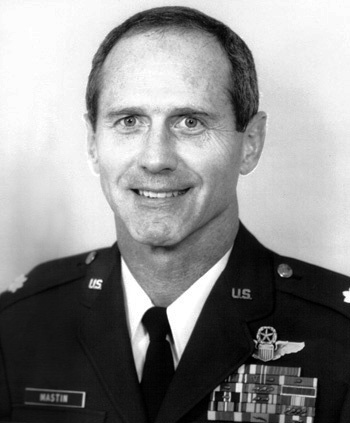 Lt Mastin next began flying combat missions with the 11th Tactical Reconnaissance Squadron at Udorn Royal Thai AFB, Thailand, in October 1966. On January 16, 1967, while flying his 34th combat mission, he was forced to eject over North Vietnam and was taken as a Prisoner of War. After spending 2,239 days in captivity, Capt Mastin was released during Operation Homecoming on March 4, 1973. He left active duty in September 1973 and after working for Eastern Airlines he returned to active duty in January 1976. After attending Instructor Pilot School, he served as an instructor pilot at Mather AFB, California, from September 1976 until he left active duty and joined the Alabama Air National Guard in May 1980, serving until 1988 when he joined the Air Force Reserve. Col Mastin retired from the reserves on June 3, 1991. He flew for Eastern Airlines from May 1980 to February 1989, and then flew for FedEx from January 1990 until his retirement in December 2007. Ron is married to the former Dawn Lindner and they have two daughters together, Cassie and Carissa, and Ron has a son from a previous marriage, Michael. 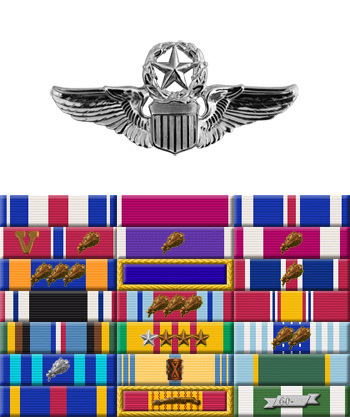 This officer distinguished himself by gallantry and intrepidity in action in connection with military operations against an opposing armed force while a Prisoner of War in North Vietnam on 21 January 1967. Ignoring international agreements on treatment of prisoners of war, the enemy resorted to mental and physical cruelties to obtain information, confessions and propaganda materials. This American resisted their demands by calling upon his deepest inner strengths in a manner which reflected his devotion to duty and great credit upon himself and the United States Air Force.